Skills Camp will start on Friday evening June 17th and continue throughout the weekend G-Ride, with on course coaching, a timing system and difficulty options for different skill levels. Less experienced riders will have a chance to learn the skills they’ll need them to ride the Loops road from the top by the end of this 3 day camp. High speed safety skills can make the difference between falling and crashing! Learn 3 ways to slow down and 4 ways to stop at speed, how to identify different types of turns, cornering techniques and the relationship between hand sliding and wheel sliding. Riders will also be given individualized ‘Homework’ to help them continue to improve and encouraged to set goals for racing. Race Camp is on Monday June 20th from 9:00am to 3:00pm. Experienced riders are encouraged to up their game with this all day intensive. It picks up where the Skills camp left off: Learn start techniques, power pushing, the tactics of drafting, passing, cornering and advancing. Learn about how king pin angles, bushing and wheels sizes, shapes and duros can all add up to an improved performance if set up correctly for the course and it’s ever changing conditions. 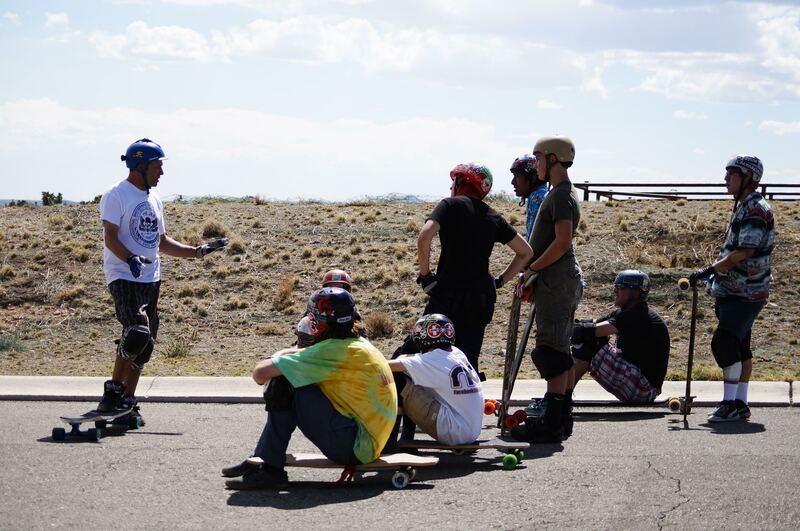 Sector 9 Team Riders will be on hand to give individualized coaching and tips to help riders hone their skills in preparation for the Show Down at the Loops Race which begins the next day. This one day camp could totally improve your performance come race day at Maryhill! Skills Camp is an additional $75 to the G-Ride fee, and for $25 more you get both camps. Race Camp is available to anyone (registered or not) and is $75.